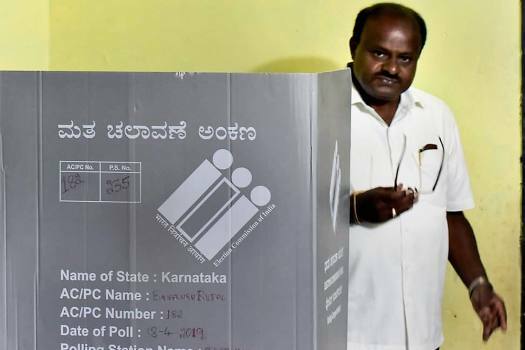 Karnataka Chief Minister HD Kumaraswamy leaves after casting vote for the second phase of the general elections, at a polling station, Kethiganahalli in Ramanagara district. 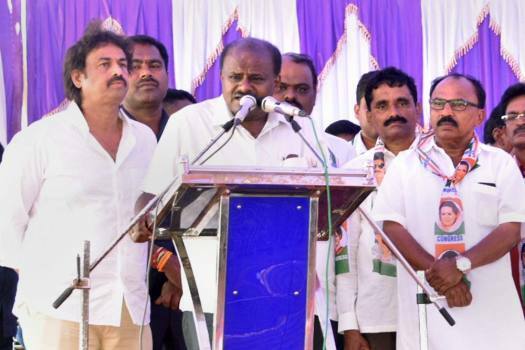 Karnataka Chief Minister HD Kumaraswamy addresses supporters during an election campaign for Lok Sabha polls, in Shivamogga. 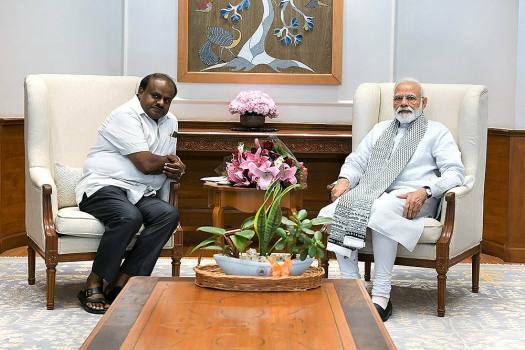 Prime Minister Narendra Modi meets Karnataka Chief Minister HD Kumaraswamy ,in New Delhi. 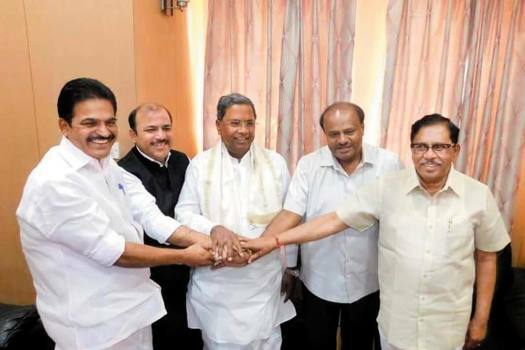 Congress and JD (S) leaders after finalising the poll alliance. 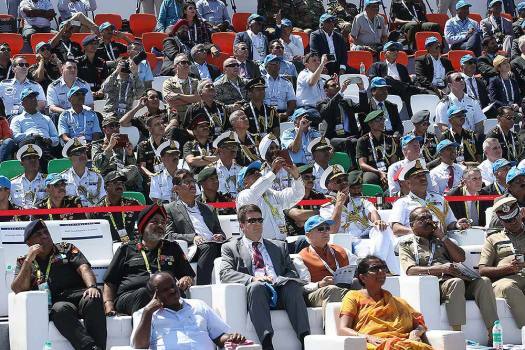 Invitees watch a flying display on the inaugural day of Aero India 2019 at Yelahanka air base in Bangalore. 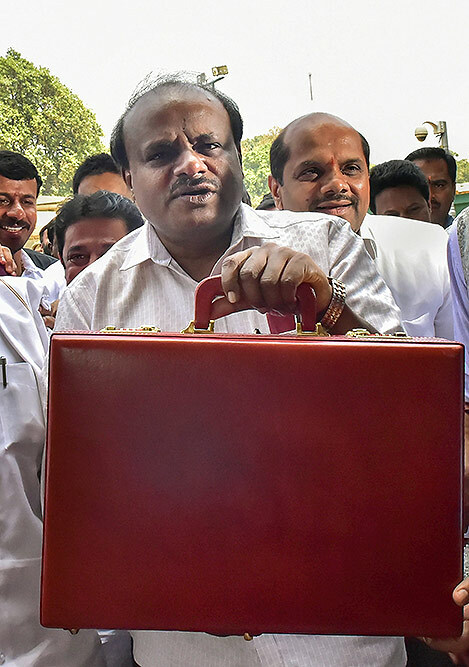 Karnataka Chief Minister HD Kumaraswamy displays a suitcase containing papers of the state Budget 2019-20 at Vidhan Soudha, in Bengaluru. 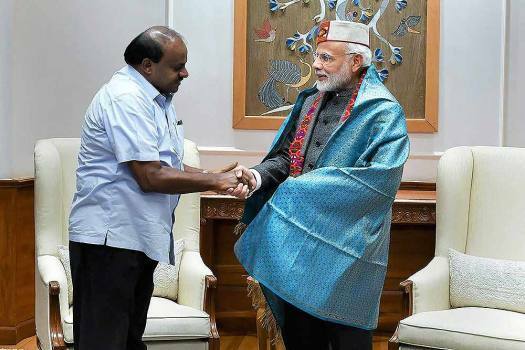 Prime Minister Narendra Modi shakes hands with Karnataka Chief Minister HD Kumaraswamy during a meeting, in New Delhi. 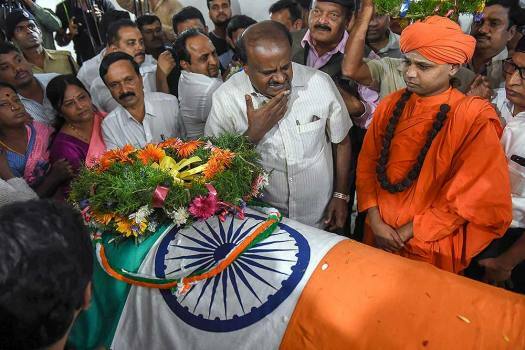 Karnataka Chief Minister H D Kumaraswamy pays his last respects to Union Parliamentary Affairs Minister Ananth Kumar in Bengaluru. Two JDS leaders from Nelamangala near Bengaluru, identified as Hanumantarayappa KG and Rangappa M, confirmed dead in Sri Lanka. 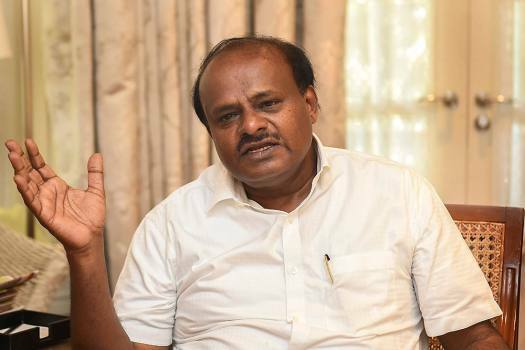 Prime Minister Narendra Modi on Friday calling the ruling Janata Dal-Secular (JD-S) a 'dynastic' party, criticised Karnataka Chief Minister HD Kumaraswamy for reportedly saying those who don't get a square meal join the army and become jawans. The raids since March 28 fetched unaccounted cash of Rs 8.14 crore and unaccounted jewellery worth Rs 1.69 crore, the department stated in the letter adding that no MLA, MLC or minister was searched in the said proceedings. 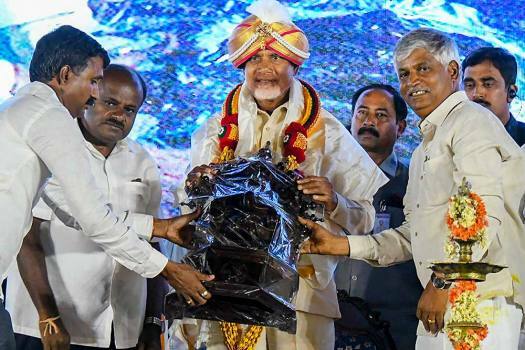 Amid doubts about longevity of the Congress-JD(S) coalition government in the state after the Lok Sabha polls, the Chief Minister also said his government will be stable. 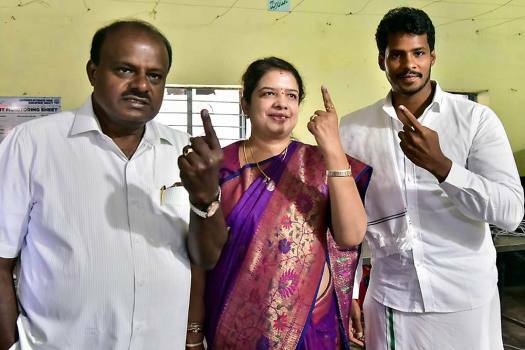 Kumaraswamy had alleged that he was being harassed by Election Commission and Income Tax department officials. Yeddyurappa on Friday said allegation by Congress leaders that he had paid Rs 1,800 crore as bribe are irrelevant and false and that the issue has been already inquired into by the Income Tax department and it has been found that documents are 'fake'. The person who has the blessings of 125 crore people... why should he fear anybody, be it Hindustan, Pakistan, thieves or the dishonest, PM Modi said at a rally in Karnataka. 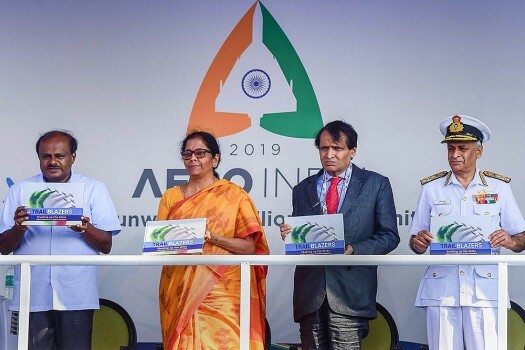 Kumaraswamy alleged that destabilisation efforts were being carried out with the "permission" of Prime Minister Modi and BJP president Amit Shah. 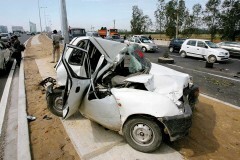 Even as Rahul Gandhi and JD(S) supr­emo H.D. 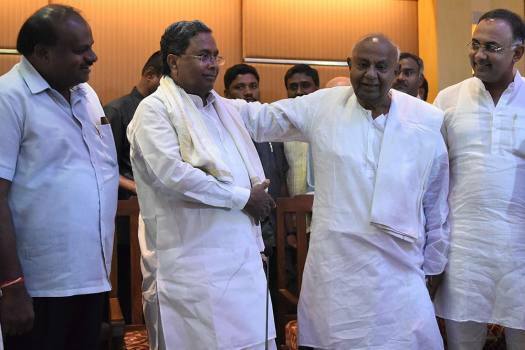 Deve Gowda fronted a rally in Bangalore, their party units held joint meetings elsewhere. 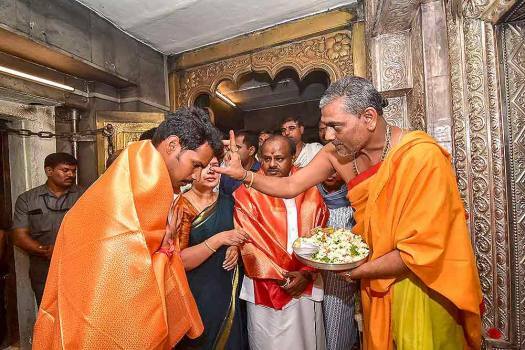 India's Chanakyas | Who Does Gowda Family Turn To For Counselling On Important Matters? 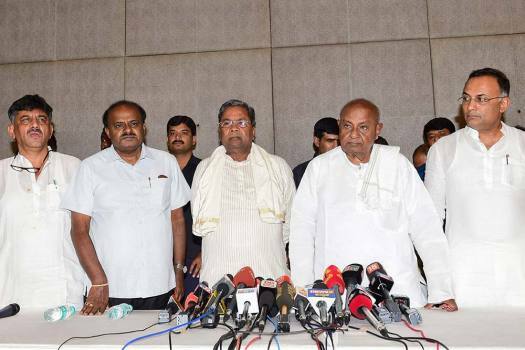 HD Deve Gowda and HD Kumaraswamy's long time confidante Danish Ali has joined BSP, but the Gowdas still look up to him for counsel on important decisions. 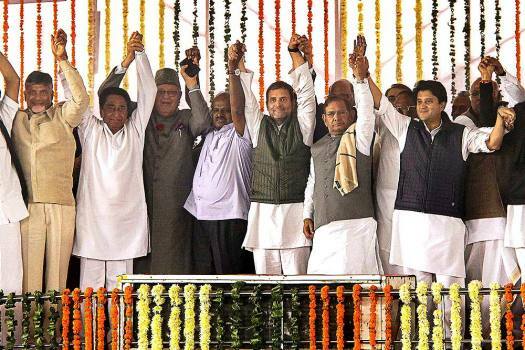 This is the first time the Congress and the JD(S) will be facing a Lok Sabha election as pre-poll alli­es. By most accounts, it’s a tricky task. 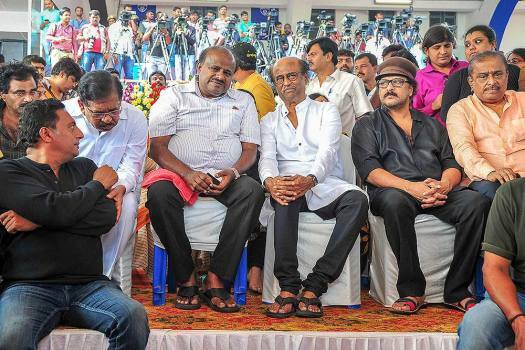 Karnataka CM’s Son To Make Political Debut? How Well Will Modi Factor Work In Karnataka? Will 'Operation Lotus' Boomerang On BJP In Karnataka? BJP's 'Operation Lotus' gambit had paid off in Karnataka a decade ago. 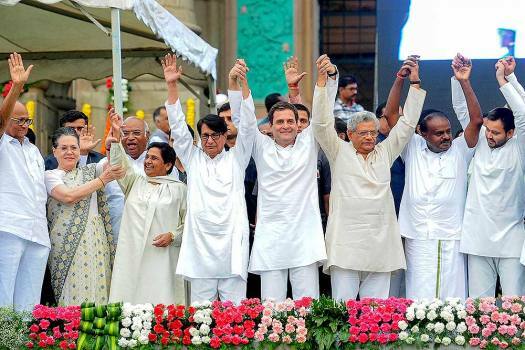 The phrase is once again making headlines in the state after the Janata Dal (Secular)-Congress coalition came to power in May 2018. 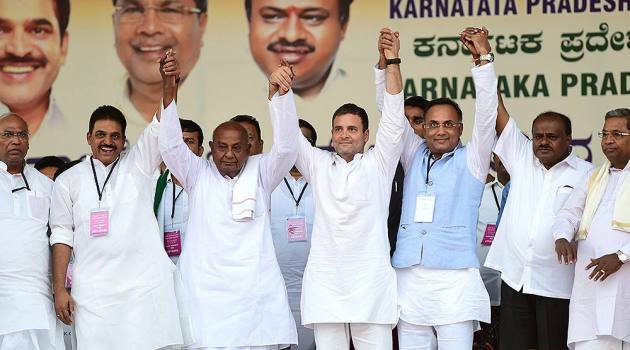 Most party men and observers reckon Karnataka's muddling political scenario will trundle along at least until the parliamentary elections, which the JDS and Congress plan to fight as allies.